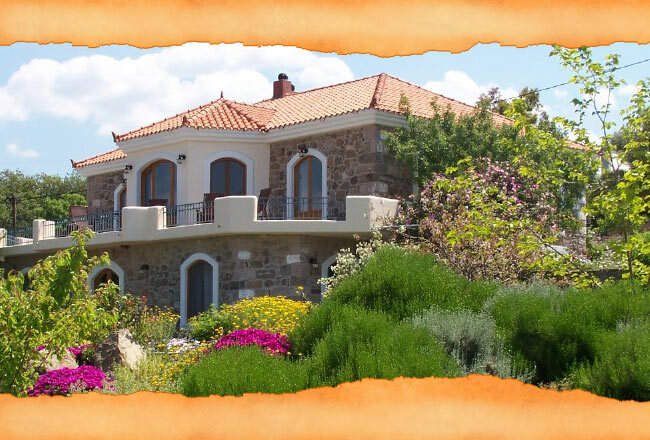 In three natural stone houses the Milelja Retreat Center rooms and apartments nestle in the midst of terraced flower gardens with trees surrounding them. They hold up to 27 guests. We can arrange more accommodation in neighboring pensions for larger groups. The minimum of participants would be around 12 people. Most of them are equipped with aircon, all of them have en suite bathrooms, a nice outside terrace, central heating, and a kitchen area. 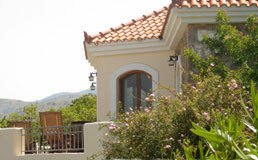 are equipped with en suite bathrooms and central heating. They have a nice outside terraces and a common self-service facility for tea and coffee. We provide fresh bed linen and duvet covers once a week , and fresh towels for the house three times a week. Detailed graphic plans of all our accommodations, illustrated with photographs will be provided with the booking.